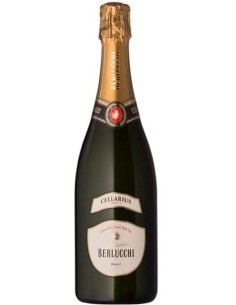 A naturally fermented sparkling wine made from Torbato vines selected over the years from estate clones chosen for their propensity to produce grapes with high acidity. 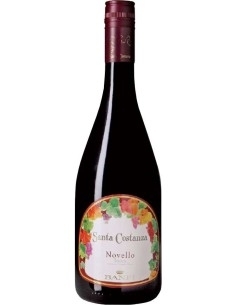 Its light, elegant nose displays the variety’s typical fruity notes. It has a fine, persistent mousse and a fresh, lively palate with dry top notes that give way to other more balanced, caressing ones. The variety's characteristic delicate aromas are always present. It is ideal both as an aperitif and for drinking throughout the meal with the appropriate food. In 1899 excavation work commenced on the I Piani zone, characterised by a thick layer of sandstone, in addition to trachyte and limestone, which prevented drainage of the soil. Several thousand rocks of various sizes were removed one by one by machinery that was extremely advanced for the time. Today this truly Herculean feat is commemorated by the large sandstone rocks that have been used for landscaping on the estate, giving it a truly unique look. A large overhead bridge built using just a few hundred of these huge rocks stands in the middle of the property. Looking down from it, it is possible to appreciate the scale of the estate and the way it respects several natural areas that continue to exist side by side with the vineyards. Over a century has passed since two adventurous Piedmontese men started to drain the land that is now occupied by over 541 hectares of Sella&Mosca vineyards. This very promising area with its enchanting landscape was the setting for the fortunate encounter of these two adventurous men, who were fascinated by the virgin terrain: the engineer Sella, nephew of the famous statesman Quintino Sella, and the lawyer Mosca.These are the origins of Sella&Mosca, which at the turn of the twentieth century transformed pastureland into fertile vineyards, commencing themost prestigious wine production in Sardinia. Today visitors to the charming estate relive this pioneering atmosphere in a continuous kaleidoscope of fragrances, perfumes and aromas that express the character of the powerful, sunny land and greatly contribute to the unmistakable personality of its wines. Respect for the place and the culture of wine, and closeness to the land and its traditions are the rules handed down by the founders, which have always inspired all Sella&Mosca’s work and determined its success. The founders of Sella&Mosca were keen amateur Egyptologists and great travellers. Their logo depicts a wine-pressing scene inspired by the Ancient Egyptian Kingdom. It is believed to be a stylised reproduction of a scene shown on a low relief in the mastaba of Mereruka, Vizier of King Teti, at Saqqara. The relief depicts five men using long poles to press the grapes contained in a sack, so that the juice filters through the fabric and falls into the jar below. The Sella&Mosca estate is also home to an interesting museum, divided into two sections. The first is dedicated to the company’s history and offers an intriguing historical look at the winery’s pioneering activities at the turn of the twentieth century, illustrated in photographs and with vintage winemaking equipment. The second provides an archaeological insight into the Anghelu Ruju prehistoric necropolis, and its people and culture, discovered in 1903 on the Sella&Mosca estate. The concept of eco-sustainability has always been part ofSella&Mosca’s policy. In order to maintain biodiversity, which is fundamental for the natural protection of the vines, the vineyards have been alternated with shady avenues planted with various trees and shrubs: 3000 oleanders, 500 palms and countless maritime pines, eucalyptuses and other Mediterranean scrub species. A five-hectare natural reserve is also maintained for all these Mediterranean botanical species, frequented by the local fauna. Parasite controls are achieved by integrated pest management using modern techniques to monitor insect populations and exploiting the improvement of the microenvironment offered by botanical species and cover cropping with volunteer plants. Targeted agronomical operations are used to regulate the growth of the vines and create unfavourable conditions for attacks by pathogens such as peronospora, oidium and botrytis. The use of integrated biological control strategies allows production with chemical residues considerably lower than allowed by law. The control strategy features the use of modern anti-leak machinery with product recovery systems. Energy savings are also a priority for Sella&Mosca, from the use of modern machinery that minimizes leakage in irrigation systems to the adoption of technologies to reduce energy consumption in the cellar. The sunny, windswept I Piani area North of Alghero is an excellent wine growing country, pervaded by fragrant aromas and characterised by a clear blue sky. 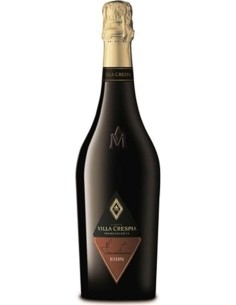 It is the location of the Sella&Mosca estate, which covers an area of 650 hectares, 520 of which planted to vine. These vineyards are flanked by Sella&Mosca’s properties in Gallura, in the Northeastern part of the island (15 hectares) and in Giba, in the Sulcis region of the Southwestern coast, between Capo Teulada and the Iglesiente mountains (6 hectares). Each site has a different terroir and is characterised by unique environmental elements: arid, mineral-rich soil, clear air and a hot but breezy climate. This is the natural setting in which old traditional grape varieties express themselves in fine wines with a sunny, generous and unmistakably Mediterranean flavour. The ALGHERO DOC winemaking area is situated in the province of Sassari, in the flat Nurra region of Northwestern Sardinia. It is characterised by iron-rich limestone, clay and sandy soils. The Alghero DOC was established in 1995 and comprises Alghero Bianco, Rosato and Rosso wines as well as several monovarietals, including Cabernet Sauvignon, Torbato and Sauvignon Blanc. It is the location of the Sella&Mosca estate, which boasts 520 hectares of vineyards on a single site, making it one of the largest plots in Europe. The Cannonau and Vermentino vineyards, well exposed to the sea breezes that give character to the wine, are flanked by another planted vineyard with the Torbato cultivar, which yields the wine of the same name. Sella&Mosca is the only producer in the world that uses it to make monovarietal wines, which thus have a character that can be truly defined unique. The GALLURA region is situated in the Northeastern part of Sardinia and is characterised by granitic soils with low clay content. The main grape variety grown in this area is Vermentino, which originated in the Iberian Peninsula, but was probably imported from Liguria. Vermentino di Gallura DOCG, established in 1996, is the only DOCG in Sardinia. SULCIS is a region with mineral-rich sandy and chalky soils in Southwestern Sardinia, between the Iglesiente mountains and Capo Teulada in the province of Cagliari. It is the realm of Carignano, an ancient grape variety of probable Phoenician origin, which obtained DOC status in 1977. The estate’s vineyards are located in the Giba area and consist of six hectares of upwards-trained vertical-trellised spurred cordon vines situated between the coast and the Iglesiente mountains. The microclimate of the area permits a late harvest for Sardinia, at the beginning of October, giving the wine good structure and smooth tannins (Terre Rare Riserva). The harvest at I Piani di Alghero. The participation of over 200 trained and supervised workers, who supplement the mechanised selection of the grapes. Sella&Mosca is the expression of Sardinia’s dual nature, with its traditional strong ties with the land and its lively Mediterranean personality. The painstaking care lavished on the vineyards, respecting the same age-old methods that have always ensured the excellence of the estate’s wines, is combined with an innovative spirit (Eco-sustainability). Mobile free cordon, developed by Sella&Mosca from the late 1990s:the foliage is supported by a single wire and is free to flutter. This training system also allows good exposure to sunlight and optimum conditions for the development of the bunches. The harvest is undoubtedly the most exciting stage of the entire production cycle. It is performed partly by hand, with the help of over 200 people who use the same care and attention as in the past, and partly with the aid of mechanical methods. New technologies are used in the subsequent stages – from the selection of the bunches to pressing and fermentation, through to bottling – while fully respecting tradition, to ensure that the characteristics of the wine are expressed to the full. wide range with plenty of personality: tasting Sella&Mosca wines is a unique experience, where the concept of standardisation does not exist. One of the fundamental principles that have always guided Sella&Mosca’s production strategy is the valorisation of native grape varieties, in line with trends in consumer tastes. Indeed, native grapes yield some of the wines on which Sella&Mosca’s image and success are founded. Vermentino, for example, which was extremely fashionable over 20 years ago and represented many consumers’ introduction to quality wines, is currently enjoying a revival. Another example is Torbato, a grape variety grown exclusively on the Sella&Mosca estates, which has been particularly valorised over the years in various wines, both still and sparkling. Recently the estate has dedicated an important research and development project to it, both in the vineyard and in the cellar, aimed at achieving qualitative excellence in its wines made from the variety.